On Nov. 24, FOPE held its 5th annual dinner. It was different because it was in the fall, it was at the beautiful Peace Hall, lots of it was donated or borrowed and it was served by our members. Overall it raised $2355 for this year - but most of all, it was fun! Getting ready was slightly compromised by the snow. And it was supposed to be a FALL dinner! After a major gallop downstairs, the good people of Pugwash settled in to the main event - roast beef, yorkshire pudding and the rest. It was delicious. The food was dispatched; the wonderful creme brulee acknowledged, and it came time for speeches. 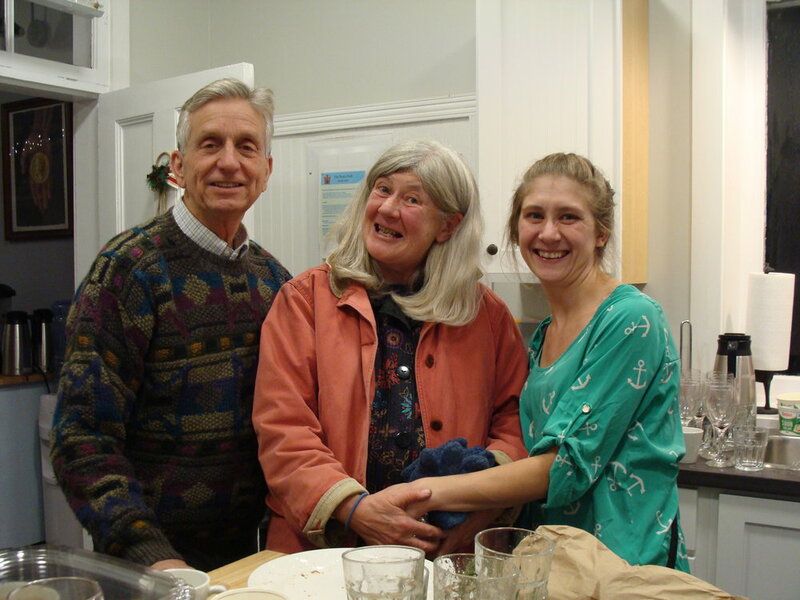 First, Sarah led us in a rousing chorus of Happy Birthday for our host, John. Then Betty reviewed the work of FOPE over the past year - a year where we had to put together the pieces again. She started to work her way into the mergansor ducks, but caught herself and went through the thanks. 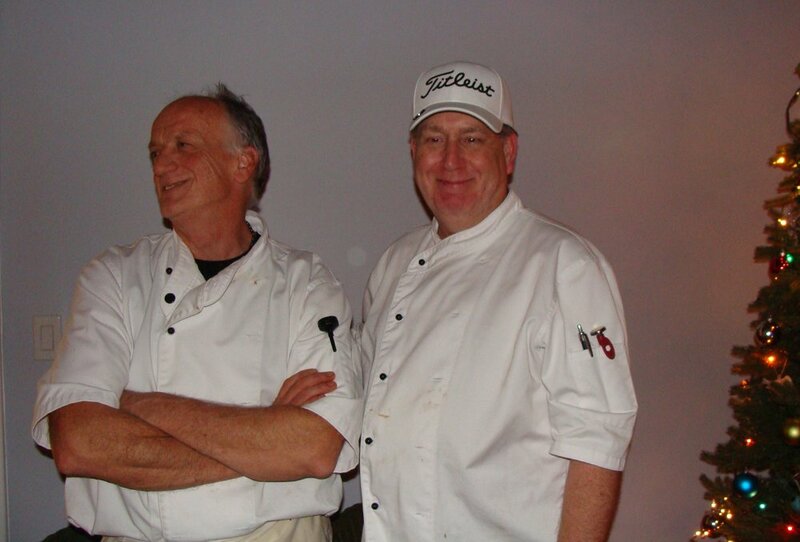 Especially to our wonderful chefs, Bill Chadwick and Stephen Huston. 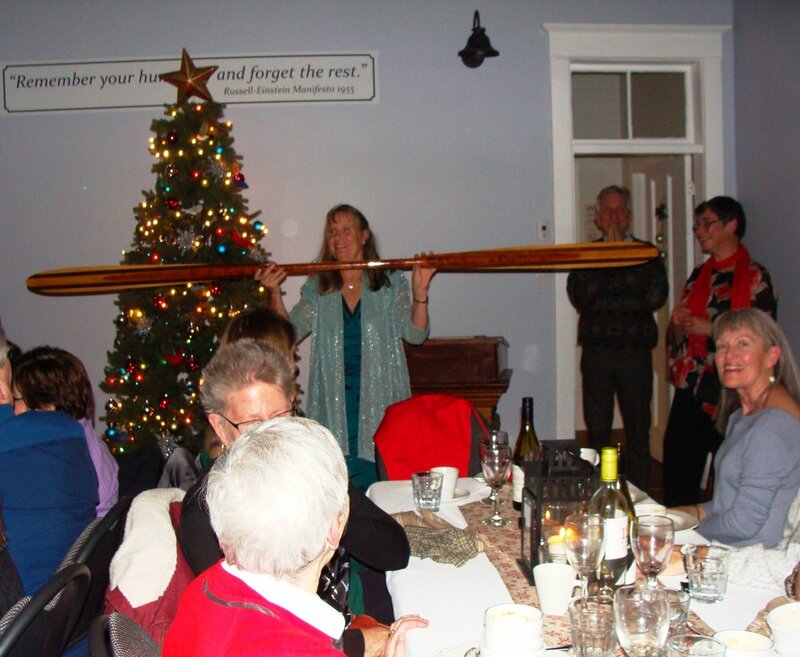 Finally, the paddle draw and the winner was Kathy Vance a Torontonian with ties to Cape Cliff Road. She was pretty delighted to get that email. 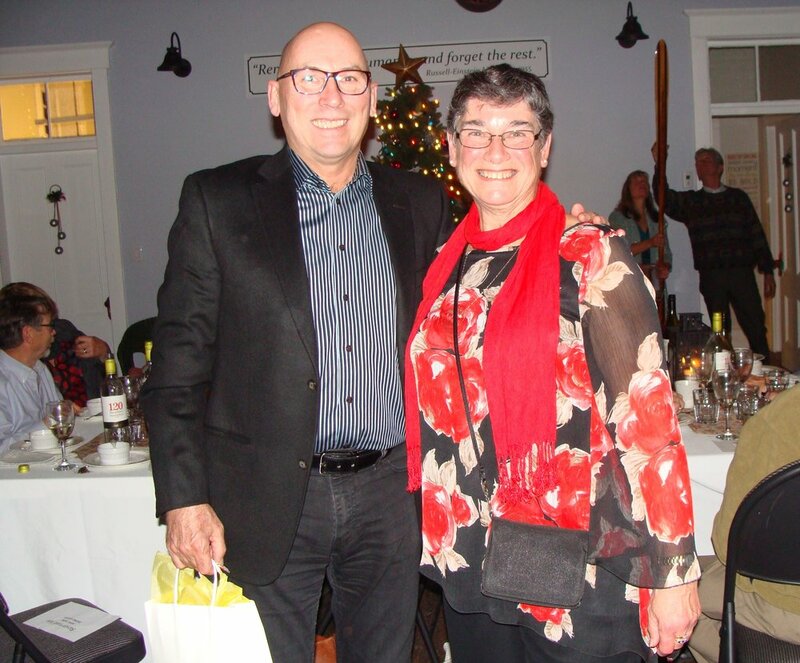 Stephen and Dennice Leahey were this year’s winners of the lifetime membership award - well deserved given all the time and energy they have put into this organization. Stuff was cleaned up with many thanks to those who stayed and came the next day to finish it off. Thanks for coming everyone.